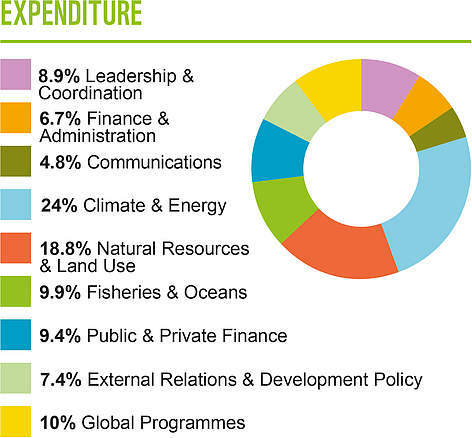 The success of WWF’s policy work at EU level depends on funding for our critical programmes, a coordinated and supportive network and key stakeholder alliances. 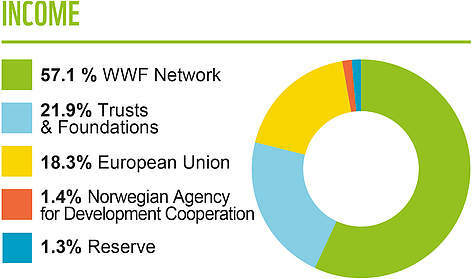 Throughout the year, many WWF offices provided WWF-EPO with their expertise and advocacy support. Eighteen offices contributed financially to our office. This support makes it possible to operate, make a real impact in Brussels and to help address issues raised by millions of WWF supporters around Europe and the world. WWF-EPO is supported both financially and in terms of policy development by major foundations.We are grateful for the continued support from the European Climate Foundation, the KR Foundation, the MAVA Foundation, Oceans 5 and the Paul M. Angell Family Foundation. Our effectiveness is enhanced by our cooperation with leading business groups willing to join us in building common advocacy positions. We are especially grateful to Sky Ocean Rescue who have committed £10m over 5 years to support WWF’s marine work in Europe, which includes €570,000 for the European policy work carried out by EPO. We continued to receive an operational grant from the European Commission through the LIFE Programme. We also received project funding via LIFE, Horizon2020, and the Norwegian Agency for Development Cooperation (NORAD). In the Green10 coalition of the ten biggest EU environmental NGOs in Brussels; as the only environmental NGO of CONCORD, the European confederation of development NGOs; as a member of the Climate Action Network (CAN) Europe, working on climate and energy issues; as part of the sustainable Europe coalition, the Living Rivers Europe coalition, and as a member of the European Habitats Forum (EHF). We also contribute to the following organisations: ECOS, Fédération des Associations Européennes (FAIB), InternsGoPro, Market Advisory Council, North Sea Advisory Council, the Coalition for Energy Savings, and the European Policy Centre. More detailed financial information is available in our latest Annual Review and our audited consolidated annual accounts are available from the Belgian National Bank at www.nbb.be (registrant number: 0460.057.241). 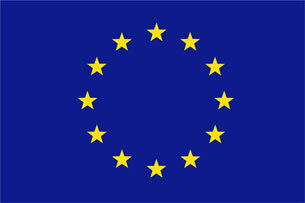 Our work is done with the financial support of the European Union. WWF European Policy Office gratefully acknowledges funding support from the European Commission. All content and opinions expressed on this website and listed publications and products are solely those of WWF.